The Bill of Rights in the South African Constitution states that everyone has a right to a basic education, yet there are millions of adult learners who do not have a school-leaving certificate. The IEB was the first assessment body to set examinations for adults so as to allow them to obtain a school-leaving certificate. The IEB is also the only independent assessment body that is fully accredited by Umalusi to assess the AET General Education and Training Certificate Level 4. Examinations on Request (EoRs) for AET levels 1 to 3 (Communication in English and Numeracy in English) and NQF Level 1 in Communication in English and Mathematical Literacy. The IEB offers national examinations twice a year in June and November. In addition, we also offer Exams on Request (EOR) in Communication in English and Numeracy in English AET levels 1 to 3 from February to May and July to December. 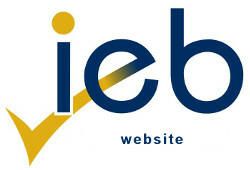 The IEB is a registered assessment agency accredited by Umalusi to offer the NQF Level 1 assessments. We work closely with SETAs and industry to address their assessment needs, particularly in respect of the fundamental areas of learning i.e. Communications, Numeracy and Mathematical Literacy. The FLC is a compulsory part of all new qualifications developed under the auspices of the Quality Council for Trades and Occupations (QCTO) at NQF levels 3 and 4. The FLC is a part qualification consisting of two learning areas: Communications and Mathematical Literacy.